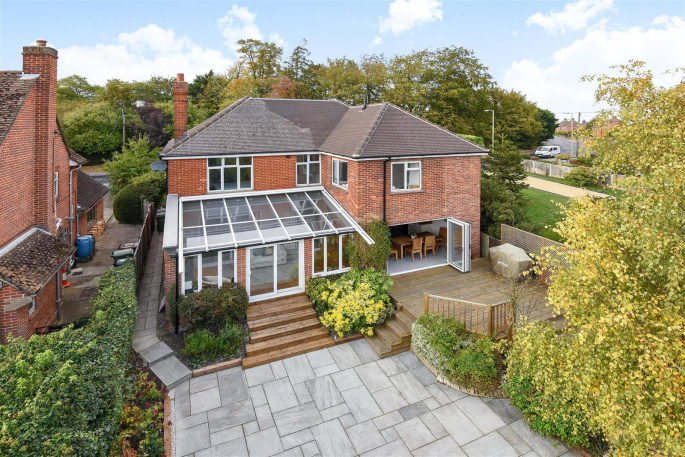 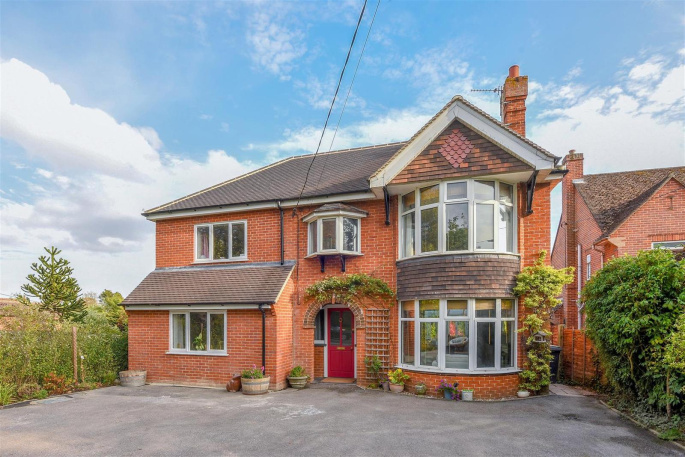 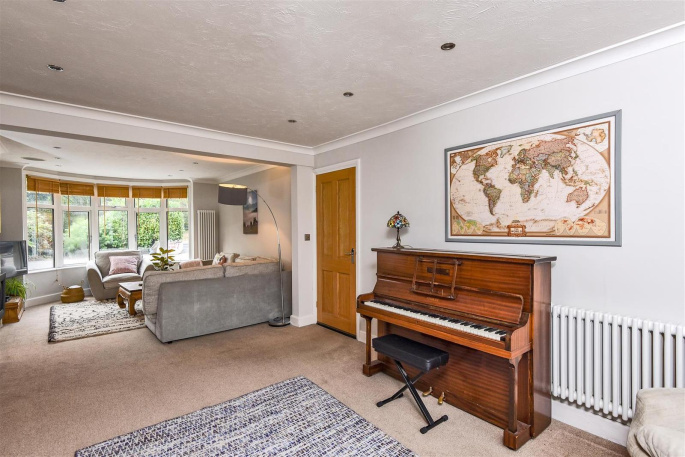 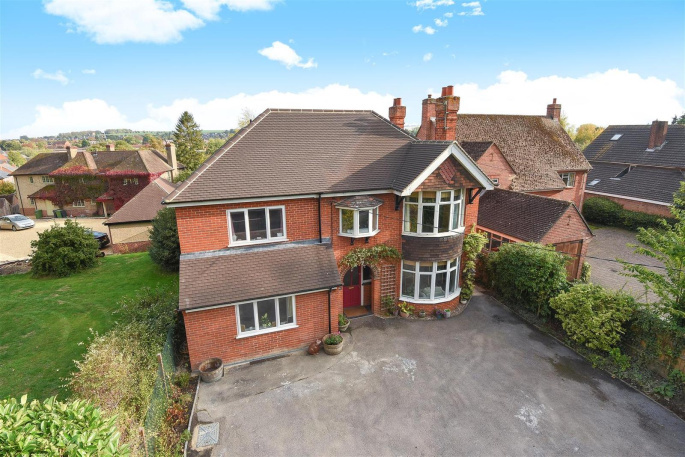 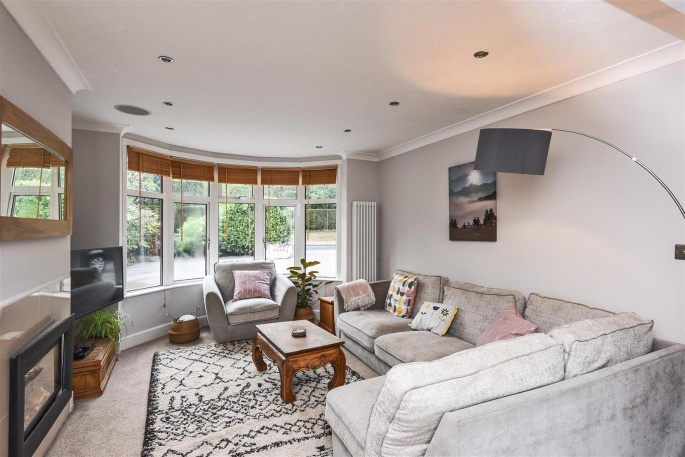 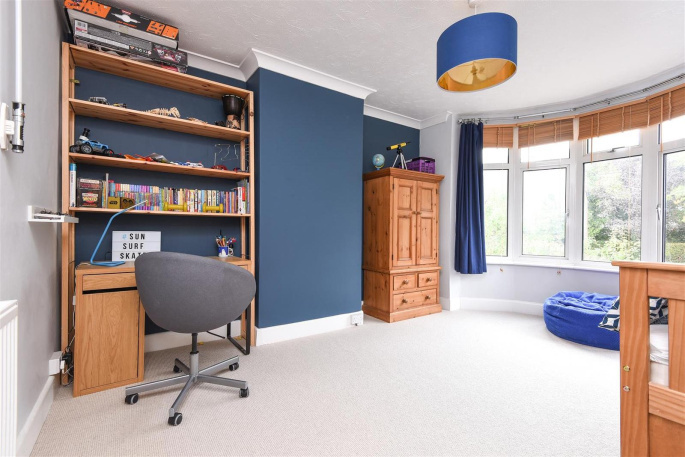 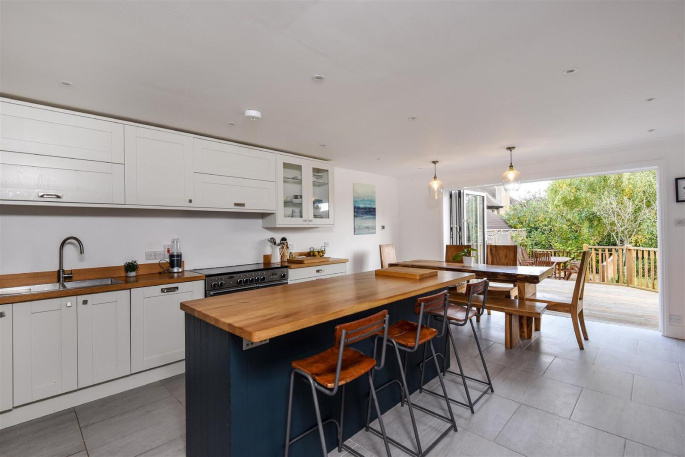 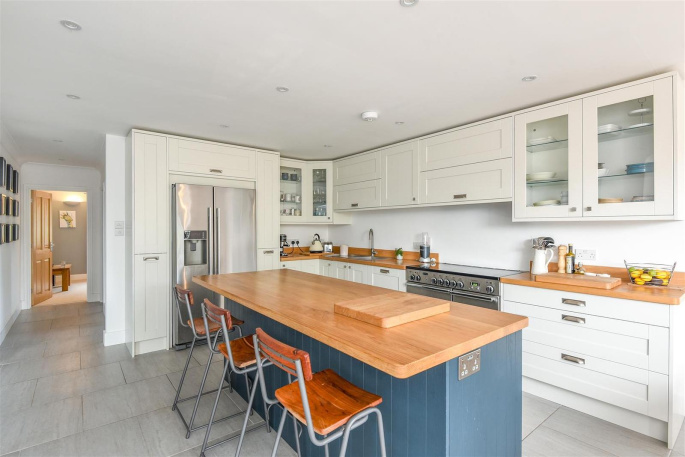 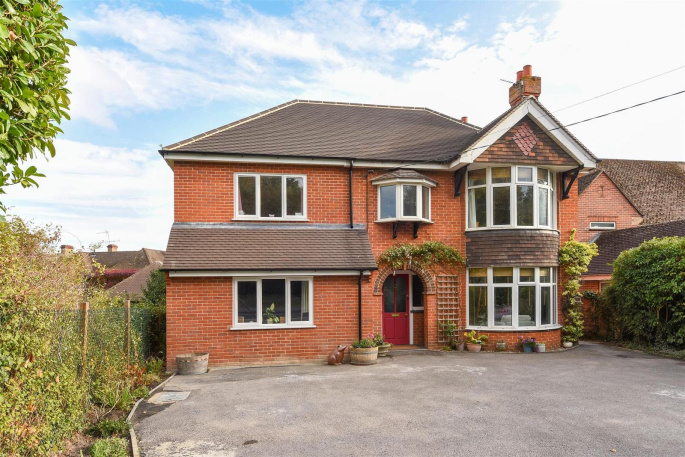 This impressive c.1930's detached family house situated in this favoured residential location, where properties of this type are rarely available, being conveniently positioned for the centre of town and local amenities. 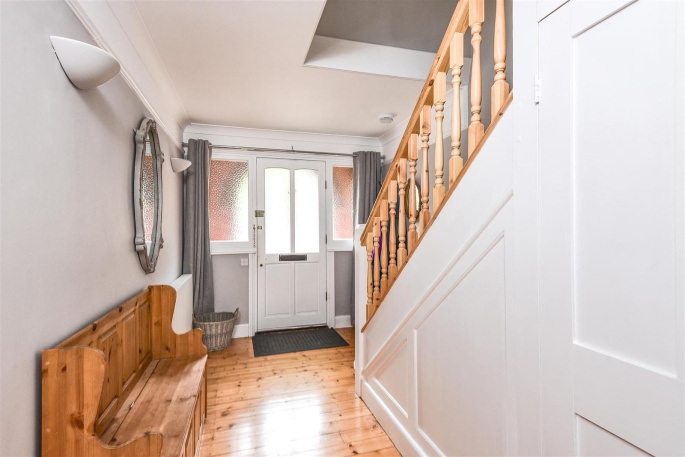 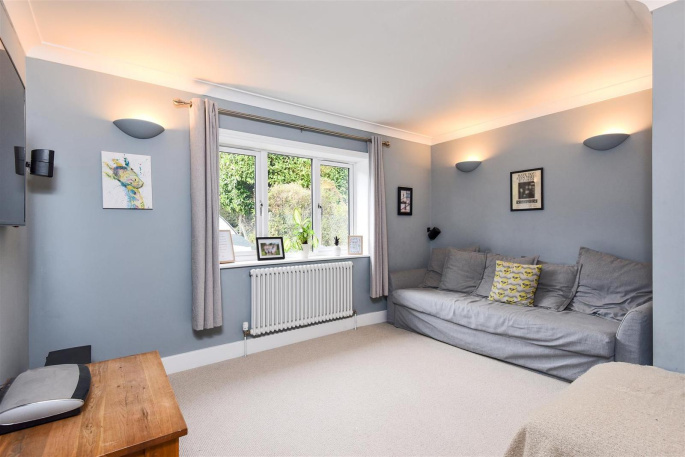 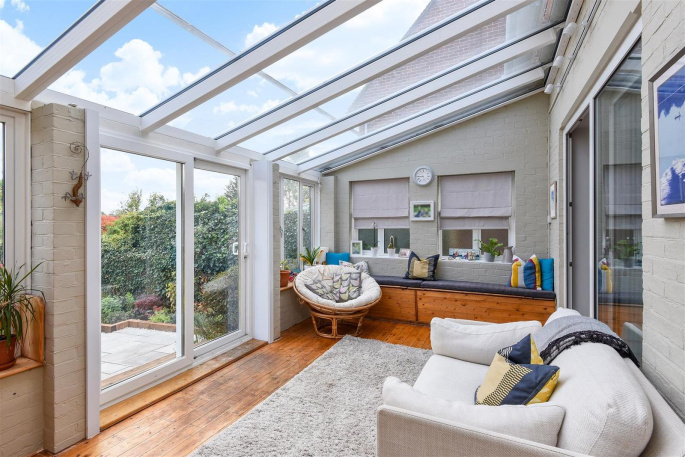 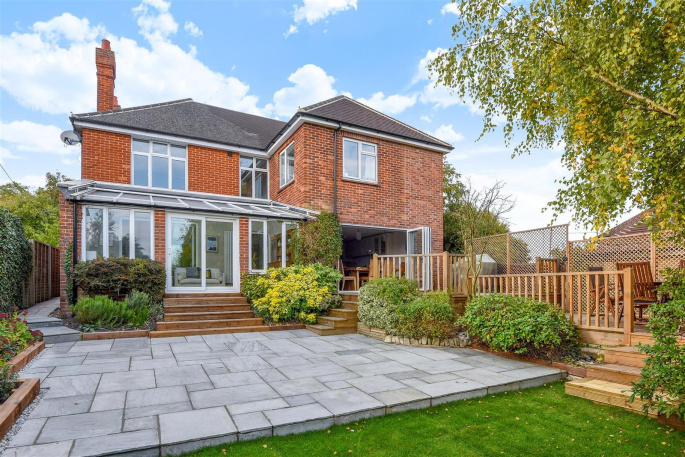 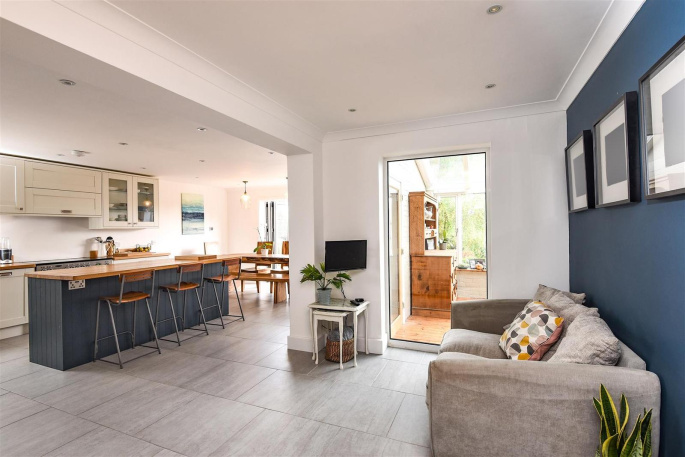 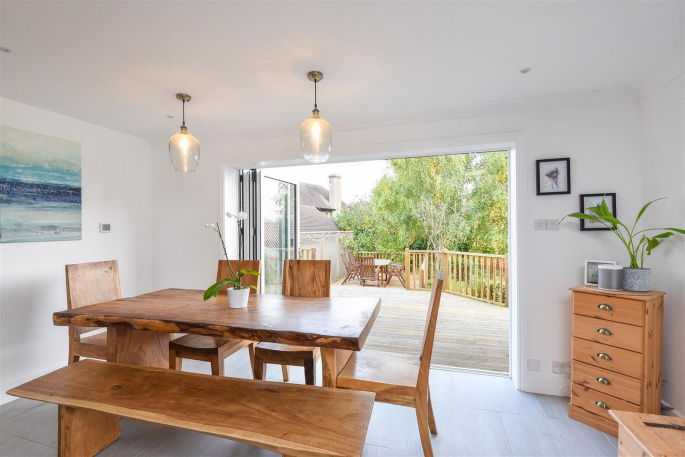 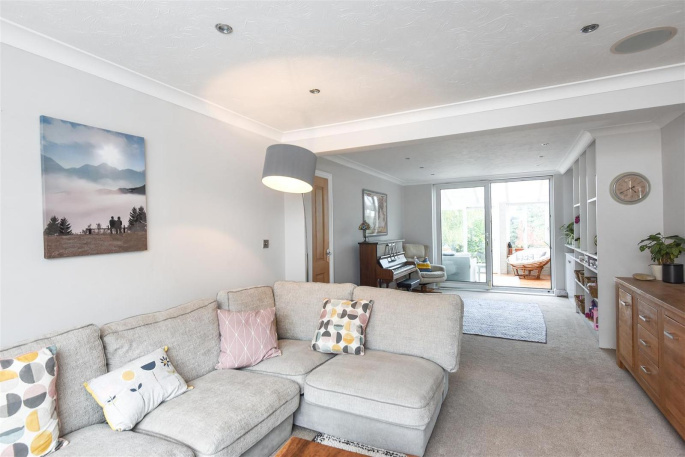 The spacious accommodation which has recently been substantially improved and extended comprises a recessed entrance porch with a front door to the entrance hall, a spacious living/dining room featuring a bay window to the front extends through into a large conservatory which opens out onto the garden. 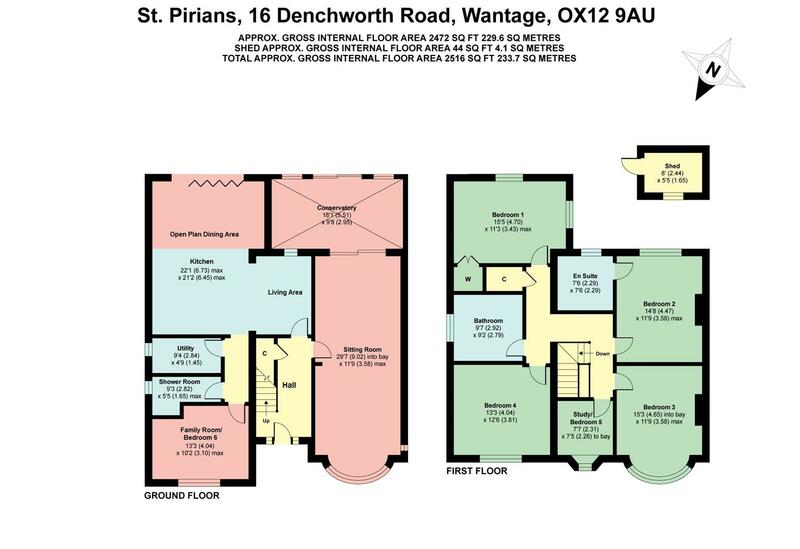 The ground floor accommodation is further complemented with a recently fitted L-shaped contemporary high quality kitchen/dining/family room affording bi-fold doors opening out onto the raised decked patio area to the rear, a family/cinema/playroom/bedroom 6 with adjacent shower room as well as a large utility room. 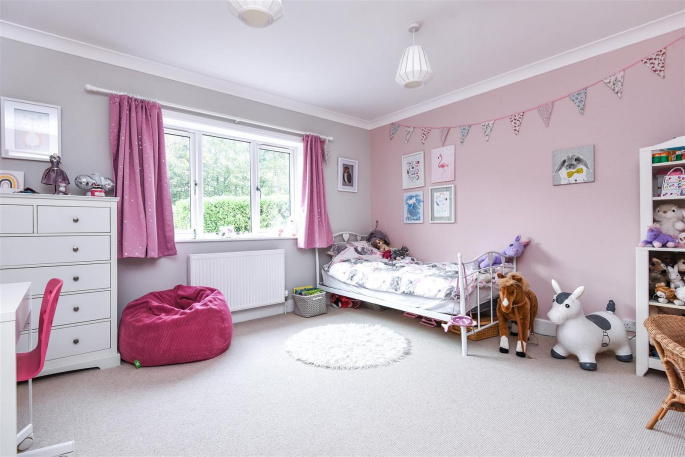 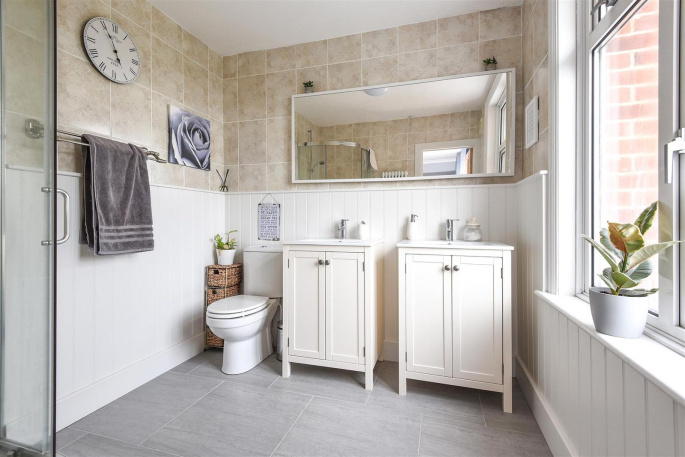 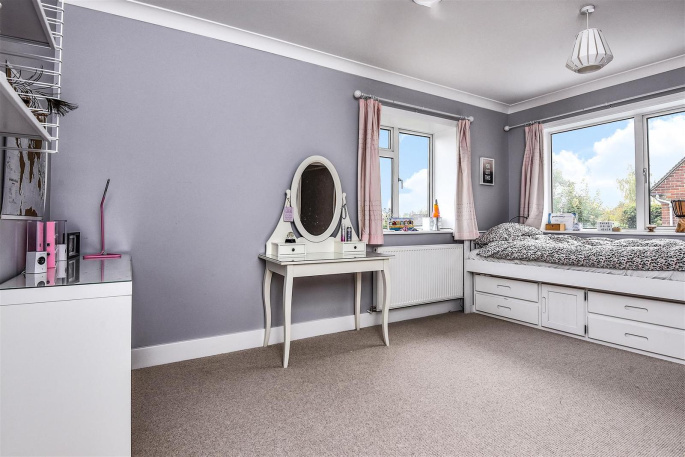 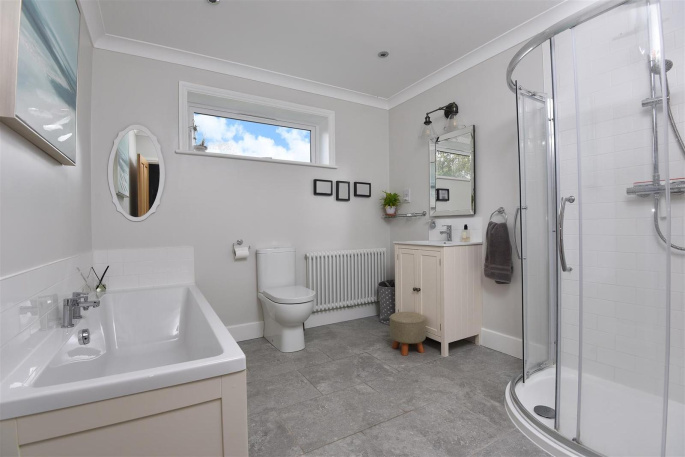 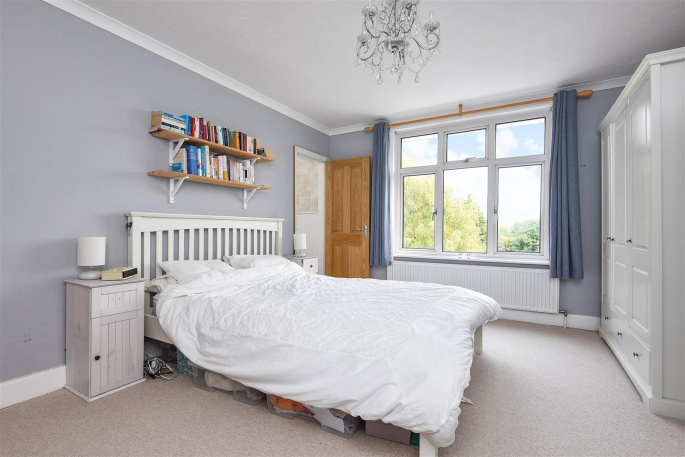 To the first floor there are 4 double bedrooms with grand proportions, one with en suite facilities, bedroom 5/study and a good sized family bathroom with bath and large shower cubicle. 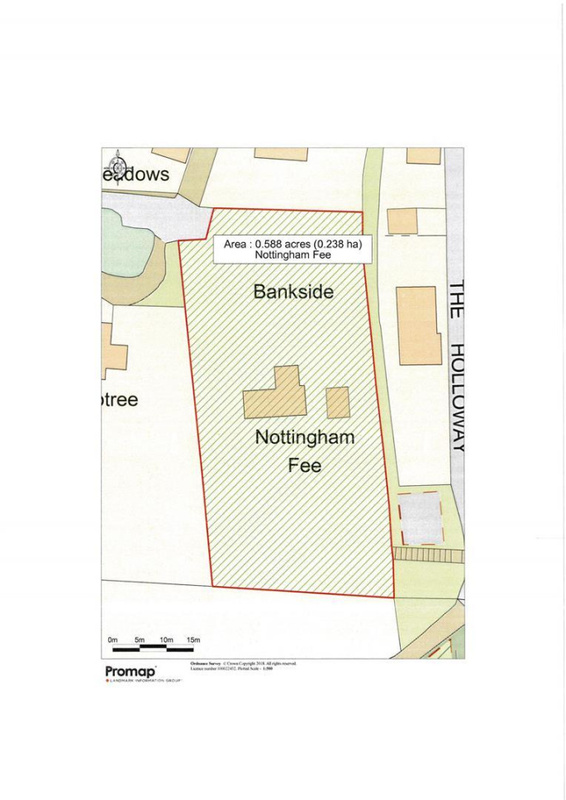 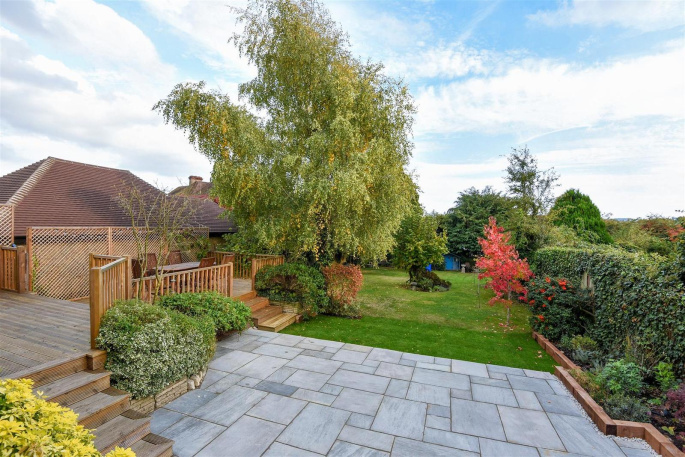 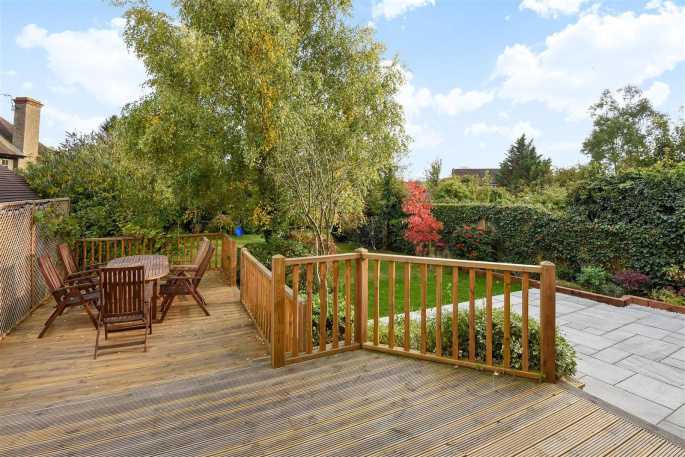 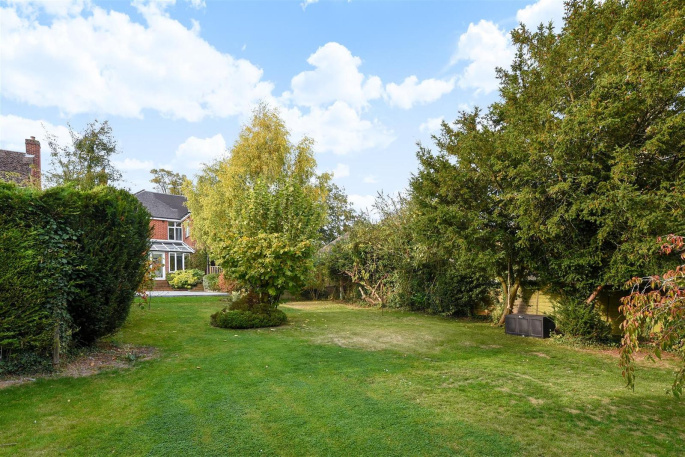 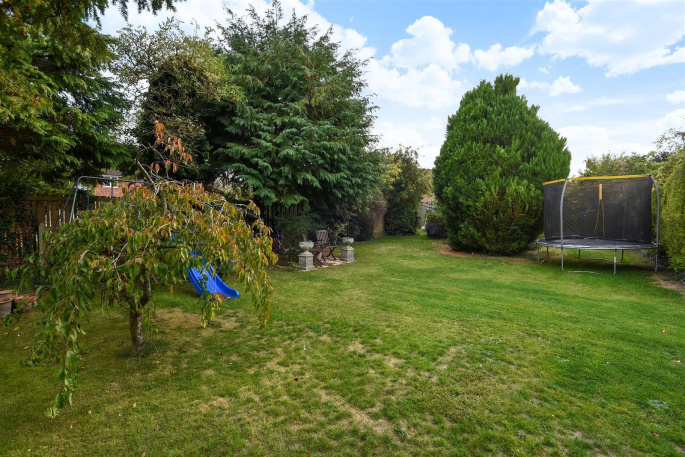 The property is located on a generous established L-shaped plot c.0.23 of an acre with a predominately south facing rear garden, offering an excellent degree of privacy and providing excellent potential to extend and/or improve further, subject to the usual compliance.